In my guiding tenure multiple hookups have been common trolling Lake Michigan. Historically, however, hooking five salmon simultaneously occurred only once a year. Meanwhile, this season it has already happened more than a dozen times and our best days are still ahead of us. After nearly a decade charter fishing this has been the best year, by far. Trolling has been hot since March and never slowed. And, while the fish aren’t huge (the biggest we’ve seen so far has been 25 pounds) I’m confident we’ll see some to 30 pounds this season. As good as fishing is, meanwhile, controversy remains. 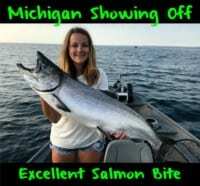 The DNR (Michigan Department of Natural Resources) believes there’s a large shortage of alewives in the lake, which puzzles me because everyone we’ve talked to has seen more this summer than ever before. We have some officials telling us there’s a shortage of alewives and we are missing year classes. It’s confusing for us, and for most fishermen. It’s hard for me to believe this theory because last week we were in 18 feet of water right outside the pier heads in Muskegon and saw the largest congregation of alewives we’ve ever seen. And, I’ve talked to guys on the Milwaukee side experiencing the same thing. My question is are the fish bighting so good because there’s a lack of alewives and when they see them they pounce on it? I really don’t know, but I can tell you I’ve never seen a bite like this. Regardless of the bait situation we are seeing one of the best bites we’ve ever seen. A week ago we had a four-man limit, which is 20 fish, in 80 minutes. And, I’m not talking little fish. We had mostly big, mature salmon with a few steelhead mixed in. This has been fairly standard within a 15-mile radius of Muskegon, but is happening from Manistee to the north and as far south as South Haven (a distance of 150 miles). The bite has been this good, everywhere. 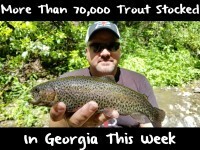 This should last through the first week in September, but we are also seeing more steelhead than we’ve ever seen. 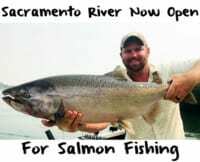 The steelhead fishing in the lake can continue into October. This is a year we aren’t going to forget. While, at times, the fish are pounding bait and spoons, I’ve found our bigger fish are coming on bait. Fortunately, we haven’t been buying much bait. Instead, we’ve been catching it off the pier heads, which is something anyone can do. However, taking care of your bait once you catch them is important. After catching alewives live dump them in a small cooler. I’ve found you can get almost 50 in the one I use. Then, I pour two bottles of natural Fire Brine and let them sit 24 hours so they brine properly. Once they are brined, personally I take them out of the cooler, freeze them 10 to a bag and bring them in the morning on the boat. On the other hand, not every one can catch their own bait and sometimes we can’t either. If you purchase bait, there’s a need to take care of it prior to fishing, or it won’t last long. I turn to Fire Brine to aid in doing this as well. The purpose of this is to toughen the meat. First off let’s talk a bit on the meat. There are all different types of “meat” to use including alewives and ballyhoo, but the most common and easy to come by in our area is herring. You can buy the herring whole in different sizes or buy it in pre-cut strips. I like to keep things as simple as I can, so most of the time I run the pre-cut herring strips. There are times when we do run whole herring or alewives, but not often. The strips are easy and work well for us. Next, I want to talk about brine. In definition ‘brine’ is solution of salt and water used for preserving. For years fishermen have been mixing up brine with all sorts of crazy ingredients that they think will make the fish bite and if they do find one that seems to work, well it was hard to reproduce. Until this season I was one of those fishermen mixing up a bunch of different ingredients to make good brine and then trying to store it without spilling it all over my boat. With Fire Brine I no longer have to deal with that. This is bottled, colored brine that is pre-mixed to perfection with the right amount of ingredients to give you that perfect bait every time. Fire Brine is super user friendly and it flat out works. All you have to do it pour half the 32 oz. bottle in a zip lock bag, toss in your whole herring or herring strips and let them soak for as little as 4 hours or up to 24 hours before use. The longer you let them soak, the darker the color. The Fire Brine comes in 6 different colors so I can mix and match them to come up with endless custom colors. Have you ever thought about UV herring to match the new Big Weenie Brand UV paddles and meat heads? Fire Brine has UV in it, so now you have a UV herring. Keep in mind, Fire Brine is not scented. What Fire Brine does is cure your bait and add color. To add scent to the brine I like to sprinkle in a little of the Pautzke Fire Power, which is a krill scent and I also add a few squirts of Pautzke Nectar, which is natural juice from salmon eggs. This gives the strip a scent that the salmon cannot refuse. In the morning, I can open up a pack of alewife or herring strips and toss them in a Ziploc with the Fire Brine when we are getting the boat ready for that day’s charter. By mid morning, when the bite starts to slow down I can open the Ziploc, grab a strip and it is colored up ready to go. This is the time when the strong scented meat really shines. Once I figure out what colors should be working for that day’s conditions, I will color coordinate my meat rig set up. For example, if I find green to be working, I’ll rig a green flasher, green Big Weenie Brand meat head, green teasers and now even a green herring strip. Surprisingly, many guys are still shy about fishing bait. Nevertheless, these new products have made it easy to make quality bait – and even easier to get multiple hookups.